Since this post, Misty Copeland was named American Ballet Theatre’s very first principal ballerina who is black. What a celebration; the world needs and wants to see this absolute star in such a deserving role. It is said that every girl wants to be a ballerina, pink tutu, the whole nine yards. If making it as a dancer is setting oneself for brutal rejection, what then for the fledgling dancer of color and diversity? How long does it take to break-out of Old-World norms? 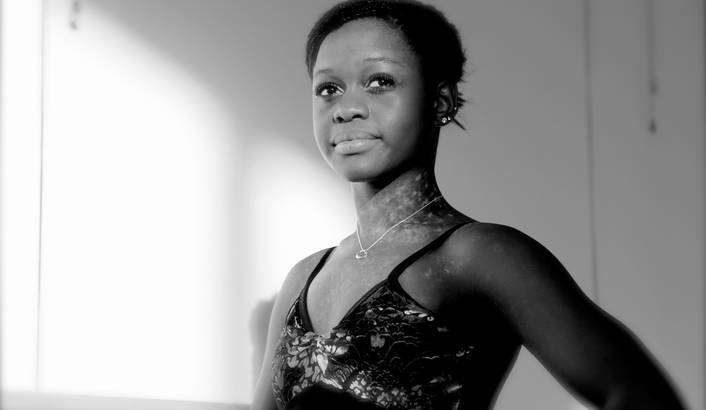 What place at the barre is available for girls of color and heritage? Are there any women who have pursued a career and art-form deemed useful for a Latina or black body? 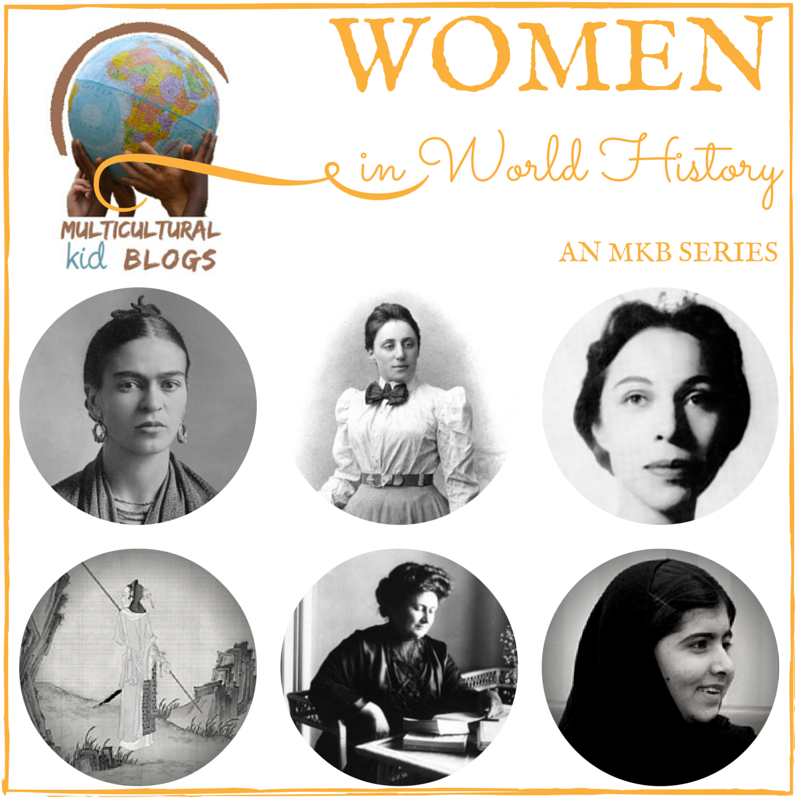 Multicultural Kids Blog calls-upon the strength, courage, and intellect of women for our Women’s History Month. Who’s in? My story begins with a little girl. My girl and a strong example. “I would be her. I’m her,” she said, smiling into the page and into Sierra Leon. Into a story of sadness, then, also redemption and healing. My four-year-old dancer wound her stuffed Little Mermaid’s orange hair around her pointer before placing it in her mouth to whittle down the nail. It’d become habitual in the last few months. She was enthralled, no, we were enthralled in the true story of Michaela DePrince, war-torn orphan turned professional ballet dancer. Michaela did not simply escape the odds in being a black dancer in a virtually all-white art and business; she escaped warring Sierra Leone on-foot, through jungle and past beasts, with the other orphans and their director. Additionally, she had been abused, unfed, barely clothed, called “cursed” and “devil’s child” because of her speckly-white vitiligo spots. Today she uses her voice and body to continue that healing and lift up others. No matter your skin, no matter your circumstances, no matter about money, you life can go somewhere. You can believe in your gift and get there. The story goes, one day, while standing alone at the orphanage gate, a magazine page blew her way. She caught it and her world changed. It was a ballet dancer, en pointe. She desired that strength, that beauty, despite circumstances, despite her skin condition. A seed does not check skin color, race, religion, or where the recipient is, class-wise. A prayer, a desire was set deep inside that little Michaela. I’ve already told you too much. I was crying tears of joy with my girl and when she asked, “Where is Sierra Leone?” And when she sweetly assessed, “They need healing” and, “Look at her point!“ and, “She is me, Mom”, I knew we’d found the right book. 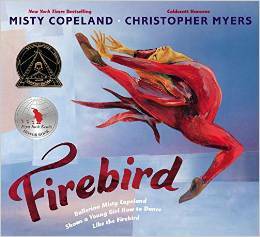 More books featuring strong girls and women from Multicultural Kids Blogs, including a fabulous book about Janet Collins, first black artist to join the Met Opera. (To dance in the Ballet Russe de Monte Carlo, she would have had to agree to paint her face and body). See, girls people need to see what strength looks like–from a variety of backgrounds, skin color, in every arena. Our girls need to see more than lily-white dancers; they need to see themselves in every person and position, to develop empathy and do some cheering-on. To see themselves not dainty, but sprouting power, turning fear and inner-criticism on its head. Little Michaela, back then, Mabinty, needed to see herself on that magazine cover, somehow, standing on the hope of that sinewy, strong leg and pointe. Those in the ballet-world, those who love children and believe in equality, also have the privilege of showing girls of color, showing all of us, a new possibility. Misty Copeland is another black ballerina who beat the odds and has become renown. She was one of five living in a one-room motel, just trying to survive the day-to-day, when a teacher saw beauty in the 13-year-old. Misty began training very very late in the game. She had never before even heard classical music or a thing about tondu or turnout. Beauty is beauty, though. Or is it…Misty, like other diverse dancers, was told that she just didn’t have the look. That black bodies just aren’t cut-out for ballet. Feet too big, bodies too curvy, all these problems. Other dancers were asked if they would bleach their skin. 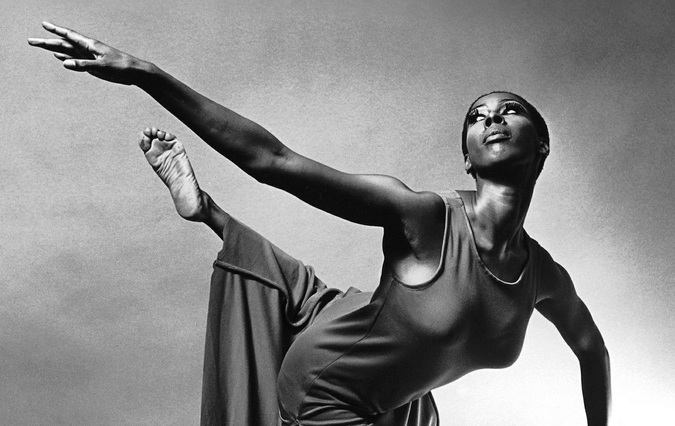 Ms. Copeland, soloist at the illustrious American Ballet Theatre in NY, told the New York Post, “For young African Americans to feel that they have a chance to see a brown face on the stage – that ballet isn’t this white world that’s untouchable to them – I think having that visual does so much. I think it’s so important for them to see me and to hear me.” (Maureen Callahan’s article for the NYPost). Her presence and the work of other dancers is massive. They are still working out kinks in civil rights, maybe. Ballet is a bit staid. Sometimes you have to get cast as a flaming Firebird. Misty is now a force of vision, a force that plucks-out promising dancers from the Boys and Girls Clubs of America, the safe oases usually situated in poorer neighborhoods where it would be more than easy to not-really-aspire, to not break-out into a widely-considered white, rich, snobby hobby, to only safely-dream. Misty is the face of Project Plie, an arm that reaches down and works to diversify the stage and behind-the-scenes. The elite ABT works with The Boys and Girls Club, granting merit-based scholarships and incredible internships to change lives and bring the ballet world further-into the 21st Century to reflect the myriad of beauty in a myriad of bodies. I know, why stop here? There is Maria Tallchief, Yuan Yuan Tan, Evelyn Cisneros, first women who have climbed the high rungs of Prima Ballerina, Principle Dancer, all elite, uncompromising women who were beautiful pioneers in their field. There are the Filipina ballerinas, the Japanese wonders, the women who are simply, dancers. It doesn’t have to be about race. “Just as all white people don’t have droopy arches, nor do all black people have “the wrong bodies,” Victoria Johnson points out. “Turnout, epaulement and virtuosity operate the same regardless of the color of one’s skin”. Amen. (Quotes form Ms. Johnson’s post in Dance USA). Talent, opportunity, and training are what enable excellence. “As a nation, we perpetuate separate white and black cultural identities. There are positive as well as negative aspects to the practice, but drawing that line means that it shouldn’t be surprising that there are few blacks on the ballet stage as there are also few blacks in the audience,” states Virginia Johnson, artistic director, founding member and former principal dancer of Dance Theatre of Harlem. There can be black ballet companies, but to mix the two arenas has been an exciting, but tough battle. I was a young teen when I experienced Alvin Ailey Dance Theatre. I had never before seen such long, strong bodies moving like that. Revelations changed my life. If we’re talking history, Judith Jamison is a hero. She premiered in AADT in 1965 and changed the atmosphere all over NY and throughout every city. She was unapologetic, telling stories with luscious, long movement and that magnificent revelation. She was strong. It’s about encouraging, training, and raising-up strong women. This is the work of teachers, parents, and dancers, in every neighborhood. It’s the belief that we can do better and that every child, every young woman, deserves a chance to train and not be cut-off or alienated. It is a call to recognize and then cultivate beauty. To call forth those young women and men who are more than skin, more than predictable. They shall be the dancers, the storytellers, the remarkable ones. Misty Copeland, Michaela DePrince, and a handful of precious powerhouse dancers are raising their voices and creating change. They are pulling young people into new lives and thus transforming generations. Their work is the work of redeeming. This change, this call to equitable truth is just beginning and will leave trails of gold dust across the stage of our kids’ hearts. These dancers are historical figures even now, pirouetting across the stage, wowing us in grand battement. Wow, powerful thanks for sharing this! I had dreams in my past of becoming a ballerina it never worked out of course but truly an amazing share.